All-Game ... The Original All Purpose Taxidermy Epoxy Putty combines the features of sculpting clay with the superior adhesion and strength qualities of epoxy! 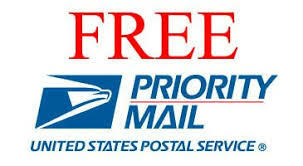 There are as many ways to use this versatile product as there are taxidermists and artists needing solutions! All-Game ... The Original All Purpose Taxidermy Epoxy Putty combines the features of sculpting clay with the superior adhesion and strength qualities of epoxy! There are as many ways to use this versatile product as there are taxidermists and artists needing solutions! All-Game is super smooth with a putty like consistency. It is easy to mix and use. Once mixed All-Game can be textured, smoothed to a feathered edge with a wet finger, brush, or sculpting tool . All-Game will adhere to to just about any surface or material. All-Game is a self hardening 2-part epoxy putty with a work time of 1-3 hours and fully cures rock hard in less than 24 hours. Once cured All-Game has many finishing options...it can be sanded, tapped, drilled, carved or ground without chipping, flaking or cracking. The ultimate product for all types of bonding, or creation of just about anything you can imagine. Since its inception All-Game has found its way from the world's finest taxidermy studios to artists, sculptors, puppeteers, doll makers, natural science museums and countless other fields! As a filler All-Game is simply unmatched in repairing wrinkles, shrinkage & gaps around noses, nostrils, eyelids & mouths...whether fish, birds, reptiles or mammals All-Game is the answer! Also great for scenery and habitat display creation! All-Game accepts paints and stains in both its cured and uncured states. The natural color of All-Game can be easily changed without losing any of its performance qualities. Simply add color tints, pigment or acrylic paint to change the natural color. From Antelope to Zebra ... All-Game Epoxy ... The "DOES IT ALL" epoxy putty that will keep pace with all of your project needs! 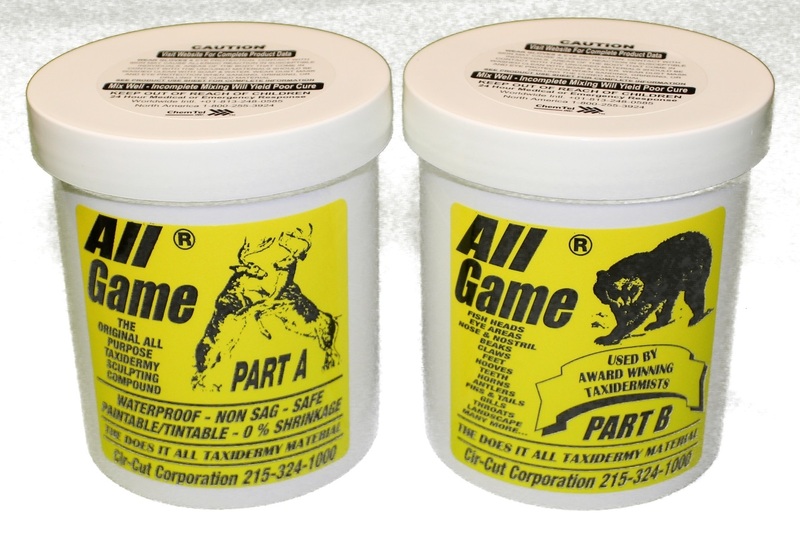 All-Game THE ORIGINAL All Purpose Taxidermy Sculpting Epoxy Putty ! Wolrd's Finest Taxidemist & Artists! 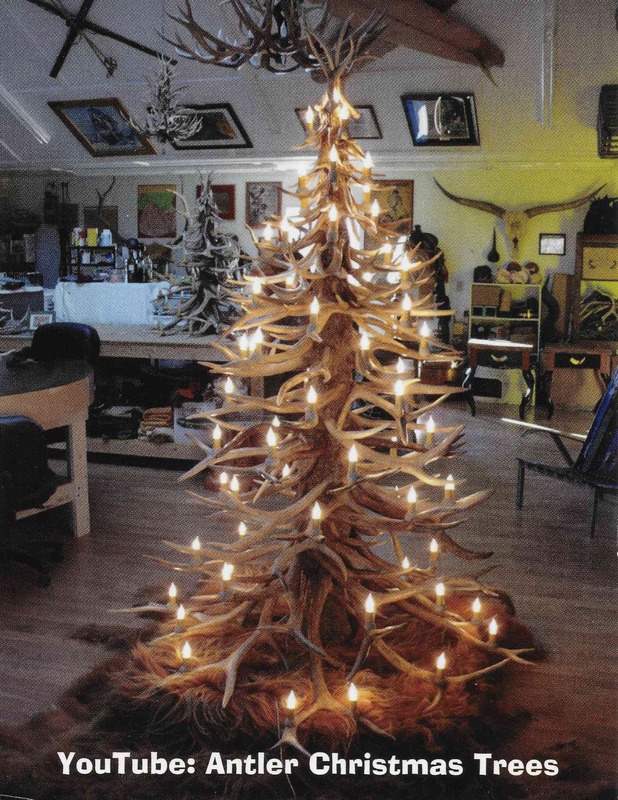 Award winning world renowned antler artist Dan MacPhail, Kevil Kentucky - regularly uses All-Game Epoxy Putty for many of his spectacular heirloom quality works of art!